No man is illegal. This sentence, well known from the various banners and wall stencils that accompany manifestations, has become an expression of protest against policies that segregate people and deprive them of the rights of residence based on their nationality. Used by numerous activist organizations, the saying has spontaneously become the name of an international social movement supporting the struggle for improving of the situation of immigrants. It quickly became embedded in the social consciousness and appeared as a logo on t-shirts, mugs, and badges. Translated into many languages, it provided a name to organizations established in different countries. 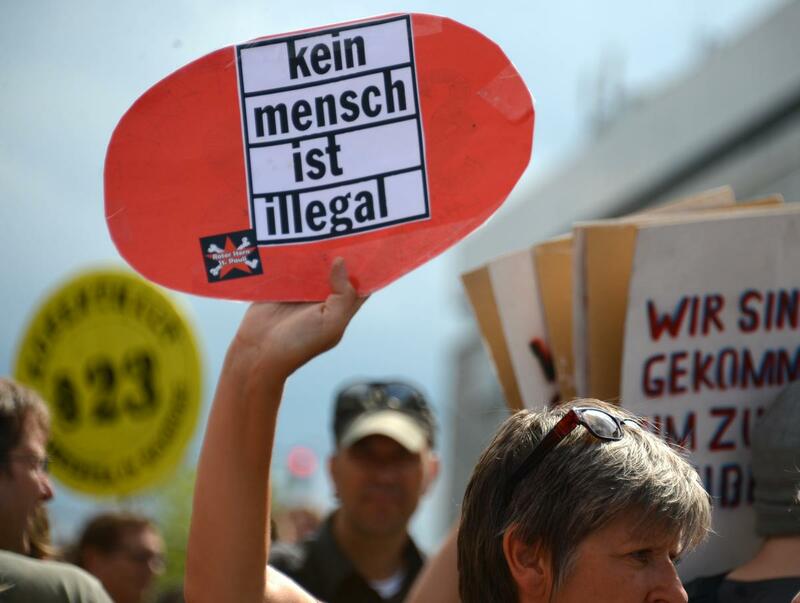 Kein mensch ist illegal is an example of an art project that has been blended into the social fabric so deeply that its original artistic genesis has been obliterated. Organized by a group of activists for Documenta X in 1997, the project rapidly transcended the habitat of art, turning into a regular movement engaging hundreds of people (see: cross-pollination). From this perspective, the movement may serve as an example of the impact of art practices on the political imagination of societies, which can be inspired to turn an artistic prototype into extant and relevant actions (see: 1:1 scale). The report presented in exhibition consists of a reprint of the manifesto authored at Documenta X in 1997 and t-shirts, tote bags, mugs, and other assorted paraphernalia purchased online by the Museum of Modern Art in Warsaw in January 2016.